If you do not agree with these terms do not use this website. 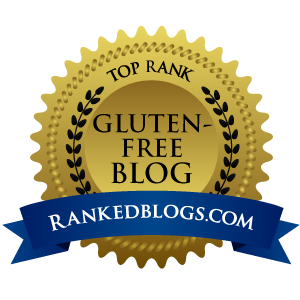 You, the reader, are 100% responsible for your food safety risks and managing those risks in a world filled with gluten and other allergens. You, irrespective of what is written on this website, are personally responsible for reading labels and understanding what your read. You acknowledge that you consider ingredients and the raw materials on which they are based, listed on purchased products and within recipes. You acknowledge that you read ingredients and recheck the ingredient list each time you make a purchase. You also acknowledge that manufacturers and producers frequently change ingredients and processes, and that these changes may affect your food safety. You willingly confirm that many labels are inaccurate and many products suffer from cross-contamination. You acknowledge you will hold harmless, the staff and owner of Daily Forage against all claims. You acknowledge that this website is informational and intended for support purposes. It is not, and should not, to be construed as medical advice. See Health – Medical Issues – Disclaimer. You acknowledge you will not infringe upon the copyrights of the owner of this website (See Copyright), nor will you create derivative works or otherwise exploit the creative property rights of Daily Forage.